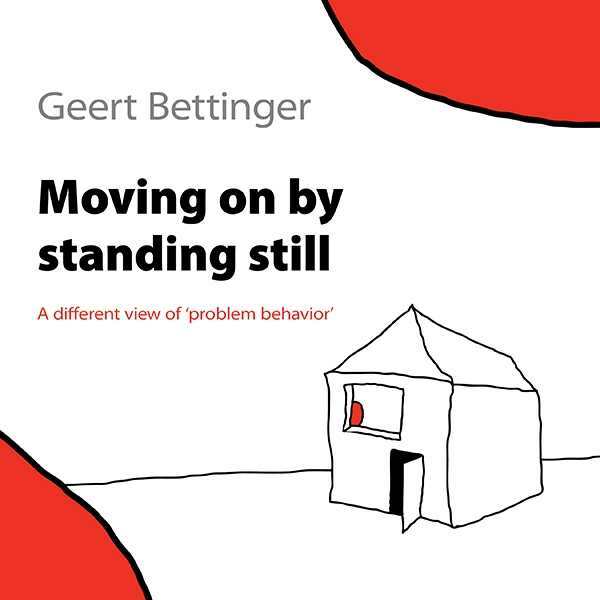 Moving On by Standing Still offers an open-minded and refreshing approach to understanding and dealing with the “problem” behaviors of care-dependent people. His book is a thorough, compassionate, and well-reasoned presentation of better means of addressing such difficulties. It advises assuming that problematic behaviors are an indication that something’s wrong, and suggests “standing still” and paying attention when people convey messages with their behavior. Such willingness to be present with others and to assess problem behavior as a signal shows respect and allows for informed observation. The result should be the resolution of disruptive, disturbing, and even dangerous issues, with heartwarming and encouraging ends. “One of the biggest fears of healthy, independent people is that they risk losing their individual qualities … from the moment they step into the ‘healthcare world,’” writes Bettinger, whose examination of opinions on the degree of independence that should be permitted in a care home is enlightening. The book offers insights into care-dependent people’s feelings of isolation and loneliness, their reaction to loss of independence, and their individuality. It acknowledges that they may feel frustration at not being understood, they may not be able to trust that they will be safe and well cared for, they worry about restrictions on their ability to come and go, and they can be concerned that their behaviors may be misinterpreted. Questions for reflection follow each topic, and are designed to provoke creative thinking, help caregivers understand their own behaviors toward their clients, and help them learn to stand in their clients’ shoes. They include, for example, prompts like: “Have you ever demanded attention in a ‘negative’ way? What was the response?” and “Imagine that you cannot speak. Which physical signals would you give if you were not feeling comfortable?” Such questions also dive deeply into issues of the abuse of care-dependent people, as well as abuse that may come from the care-dependent people. Bettinger’s methods will also benefit the parents, guardians, and teachers of pre-verbal children; those caring for people who have suffered trauma; and those who seek to understand each other when words are not easily accessible. Case studies offer vivid, poignant, and sometimes humorous examples of various problem behaviors, clearly showing how Bettinger’s methods resolve such problems to everyone’s satisfaction. The book is pleasingly designed and enhanced with simple line drawings, which are accented with bold colors and add a touch of whimsy to the otherwise serious topic. Occasionally, phrasing is awkward, and words are sometimes missing or repeated.